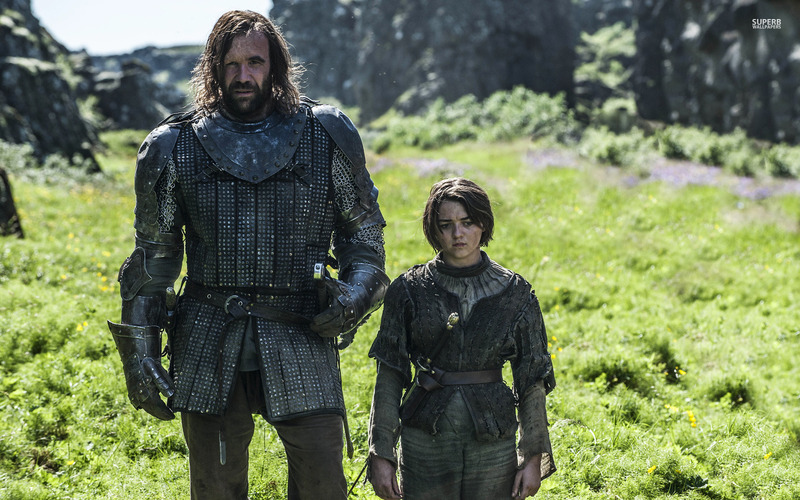 The Hound and Arya. . HD Wallpaper and background images in the Game of Thrones club tagged: photo wallpapers game of thrones the hound rory mccann maisie williams arya stark. This Game of Thrones wallpaper might contain farasi wrangler, wrangler, surcoat, ngao, and kigao.